5.16 x 6.23 x 2.65. 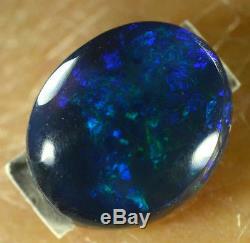 Electric blue/green very bright opal, nice oval shape, high quality polish, will look great in any setting. How Natural Opals are Valued. The Value of Natural opals is determined by 8 primary key factors. There are 2 types of Opals. 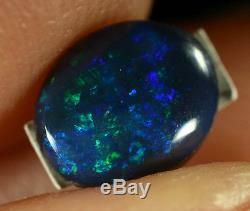 Natural opals - (Black Opals / Light Opals / Boulder Opals) 2. Composite Opals - (Doublets & Triplets). Natural opals - Natural opals are those which have not been treated or added to in any way by mankind, other than by cutting and polishing. 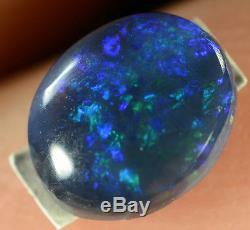 Natural opals are usually described as light, dark/black, boulder, and matrix. Although boulder opal has an ironstone backing, it is regarded as a solid natural opal because this backing occurs naturally. The variety of natural opal is determined by the two characteristics of body tone and transparency. Composite Opals - Triplets and doublets are a combination of natural opals and artificial veneers. A triplet opal is a thin veneer of precious light opal bonded to a black backing with a protective crystal dome glued to the top. 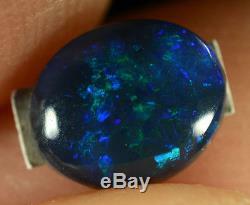 A doublet opal is a layer of precious light opal bonded to a black backing, simulating black opal. Doublets are usually more expensive than triplets because more opal is used. 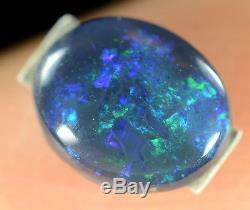 Natural Opals are described as Black, Light, Boulder, and Matrix. There are 2 types of Composite (man-made) opals. Your 100% satisfaction is our number 1 priority! So, Let us explain, To help you identify the Natural from composite. Doublet or Triplet Opals Because they will crack & fade over time. Some could fade and crack as soon as within 1 month from the date of manufacture. 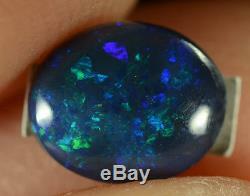 Solid Opals - Are 100% Natural Opal. Doublets - Are Glued together in 2 layers. Doublet or Triplet Opals - Because they will crack & fade over time. Some could fade and crack as soon as within 1st month from the date of manufacture. Triplets - Are Glued together in 3 layers. 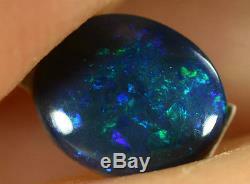 Australia Produces 95% of all Opals. Our opals are mined at Lightning Ridge in NSW. The process of Cutting & Polishing Opals. Hours of Cutting & Polishing. To Finally Obtain this: ->. Every Jewellery Piece is Unique, Because every Opal is Unique in size and shape. There is a bit of work that goes into handcrafting every Opal Jewellery Piece because every Opal is unique in size and shape. We want you to feel absolutely certain that you have what you've paid for! If you're not 100% happy simply let us know and return the item in original condition and packaging. That means No Risk to You whatsoever! If you need an extension to pay, please let us know. And we will be happy to discuss the Terms. Australia Opal Co - Team. The item "Black Opal Australian natural solid 0.45ct VERY BRIGHT ELECTRIC PURPLE/GREEN GEM" is in sale since Sunday, August 21, 2016. This item is in the category "Jewellery & Watches\Loose Diamonds & Gemstones\Loose Gemstones\Other Loose Gemstones". 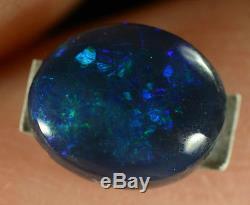 The seller is "opal-co" and is located in Gold Coast. This item can be shipped to Australia, North, South, or Latin America, all countries in Europe, all countries in continental Asia, New Zealand.